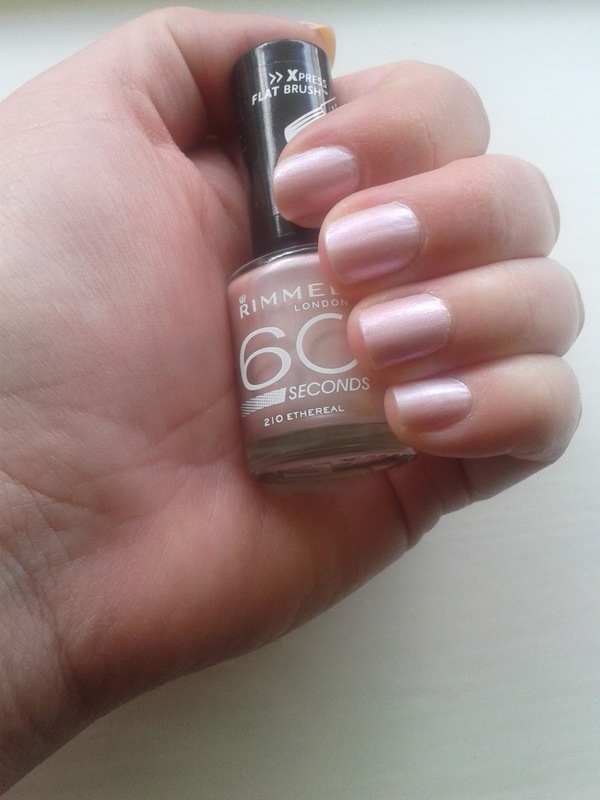 The polish is Ethereal, from Rimmel's 60 Seconds Collection, and it is a gorgeous very pale pink shade that I thought was great for Spring, because it reminds me of Spring Blossoms and I think that we're all appreciating the milder weather that has finally arrived, so it seems a very fitting shade at the minute. The funny thing is, that when I bought Ethereal, I was actually looking for Rimmel's White Orchid, which my Mum had recently purchased and I'd loved. However, Rimmel don't seem to sell it anymore - or atleast, I haven't been able to find it in any shops. Has anyone else noticed that a lot of shops appear to have been selling Rimmel off cheap, and the "normal" 60 Seconds and Lycra collections appear to have shrunk and been replaced with their Kate Moss collection. Don't get me wrong, the Kate Moss collection is really pretty and company's need to move forward, but it just seems sad that other beautiful shades get pushed out. but, hey ho! You might also notice that I still have fairly long nails - go me - I have been a Non-Nail Biter for roughly a year and a half now. Although, I think think is probably the best they've looked in those eighteen months, with all but one nail (my pinkie finger) being relatively long. 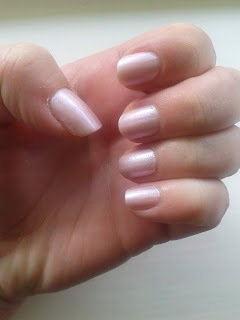 I say long, I have never gotten used to having long nails, and I'm preferring to keep them relatively short. This is of course getting difficult since my thumb nails appear to grow at the speed of light, so I seem to be trimming them quite regularly, whilst waiting for the other nails to (very slowly) catch up!! Anywho, I hope that everyone is keeping well and enjoying the beautiful weather. 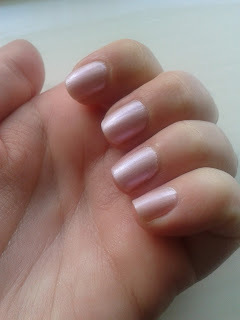 What colours are your nails sporting this Spring? This is lovely :) a nice neutral shade for everyday.